Ship Notes: Item in Stock! No Delivery Charge! Sanitaire Canister Commercial Grade Vacuum Cleaner for carpets and hardwood floors. Only $119.99 - with Free Shipping. NEW MODEL, replace old model SC3683A, Fast Free Shipping via FedEx! SC3683, On Sale $119.99, with Fast Free Shipping. The SC3683B "Mighty Mite", is a commercial grade canister vacuum cleaner from Sanitaire. It is designed for both commercial and residential use and equipped with a tools for every job. Accessories like the deluxe floor tool, dusting brush, upholstery and crevice tools, carrying strap and optional HEPA filter make this a great compact vacuum cleaner. This versatile product has an easy drop in bag system and is UL listed for commercial use. You're backed by a limited two year commercial warranty, too. Add to that easy access to replacement parts and the best service in the business, and it's plain to see why Sanitaire is the best when it comes to commercial vacuums. 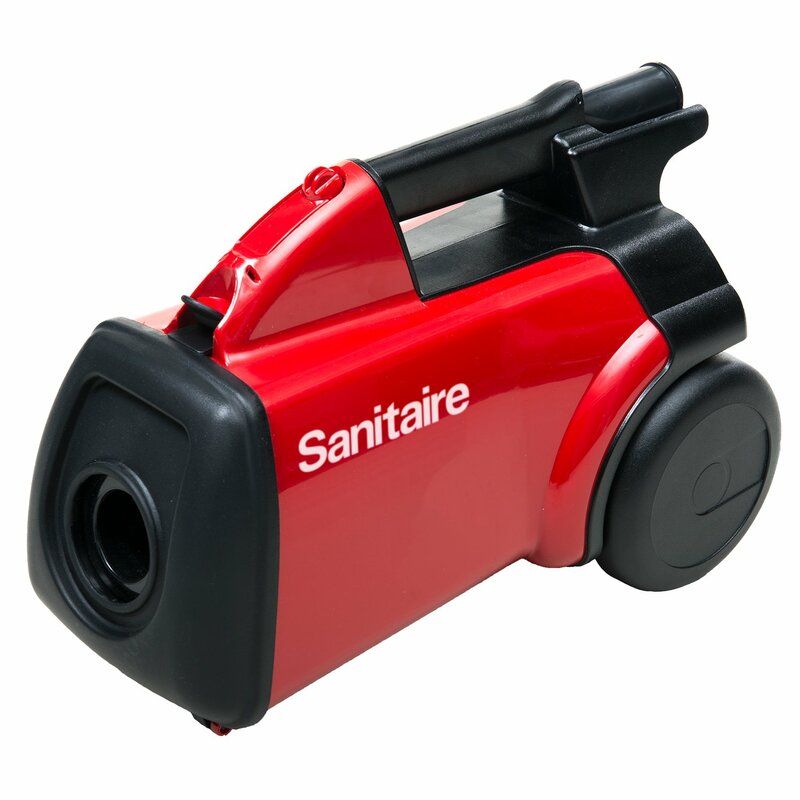 The SC3683 Sanitaire Commercial Canister has been at home with cleaning for over 20 years. And you would be right. That is because it evolved out of the famous Mighty Mite, the most popular home canister vacuum ever built. But rest assured this new Sanitaire is no home version. It is UL listed for commercial use. It features a tough polycarbonate housing. It is True HEPA ready. * And it conforms to OSHA acceptability standards, to boot. Sanitaire’s Commercial Green Cleaning Line has many models to fit your specific cleaning needs. Select Green Cleaning vacuums have passed rigorous performance tests to earn CRI Green Label™ approval. Sanitaire sealed HEPA vacuums are outfitted with a patented filtration system that emits only clean air back into the room.